So my question is, since I just waxed about a month ago, can I wax again this weekend after I apply the polish? Do I have to de-wax or something? Re: Re-wax after 1 month? Preparation is everything. And my other favourite saying is that perfection is a process, not one product. 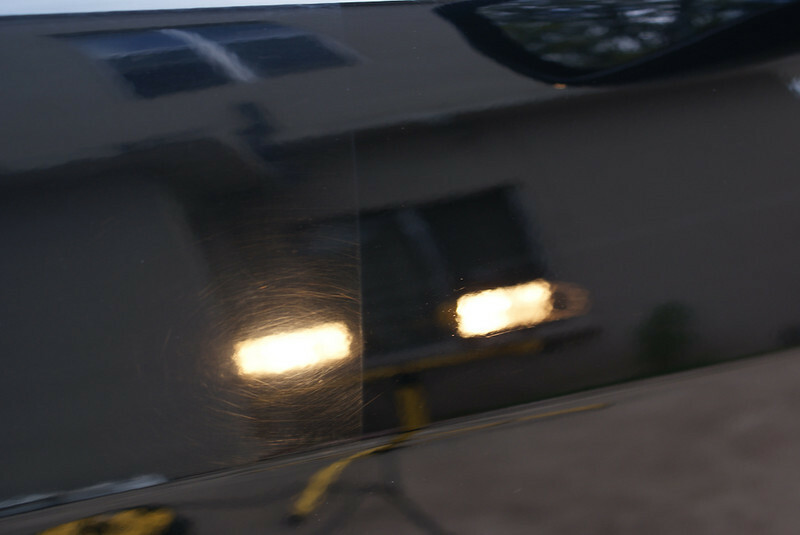 Take it back completely: clay it, then use a de-waxing solvent to ensure it's completely clean, then start your paint correction. Some see this as being overkill. But for the extra couple of hours, I see it as good insurance for a long lasting shine. When my car is clean it still looks amazing, and it hasn't been polished since Feb last year. What do you suggest to use to de-wax? Is it ok if I just clay bar it instead of using de-waxing solvents? I've read somewhere that using clay bar strips your old wax off. Last edited by 99lude; 10-11-2010 at 10:44 PM. I always clay then de-wax. Yes the clay will remove all previously applied polishes etc if done properly. As for a de-waxer, it doesn't really matter. Just go down your local automotive supply shop and ask for one. Like Brash said, any decent wax stripper should work. I use prep-all, or in your area you might find prepsol. I purchased my last one at my local walmart. You can also achieve the same thing by doing an IPA wipe down. Mix a 50/50 solution of 90%+ Isopropyl Alcohol and distilled water in a spray bottle and wipe down the surface with a microfiber towel. A prepsol/IPA wipedown is beneficial after your polishing/correction stage. This is to confirm that you removed the majority of swirls/spiderwebs. I like to use halogen work lights and a brinkman flash light to confirm my polish tackled any spiderwebbing/swirls etc. Here is a quick shot I took of NHBP paint after a quick polish. So I should mix the alcohol and water into a spray bottle, then should I wash, then spray the alcohol, then clay, then polish, then wax? Or ?? Wash, clay, IPA wipedown, polish, IPA wipedown, then LSP (Last Step Product/wax). If most polishes take off the wax residue, then do you think I can skip the IPA wipedown and just go for wash,clay,wash,polish, wax? I would still recommend doing the IPA wipedown after your polishing step. To confirm swirl removal and to also leave a nice clean surface for the wax. So again, IPA is good for removing wax right? I'm a bit concerned that the IPA wipedown would somehow dirty the paint again. Is it safe to do the ipa right after the clay and before the polish? You should be ok. The paint should be really smooth and clean after the wash and clay. I've never even heard of clay before...what is it and where would you find it? Don't mean to thread jack at all I'm just really curious. Meguaris makes a clay bar kit. You mean it leaves swirls when you wax it? And it won't come off? When the Op referred to "swirl marks" these marks are in the paint finish itself. They are in essence fine scratches. While a decent application of a good quality polish can remove them, sometimes you need to try that little bit harder. Or maybe I've missed the point. Hey, EBPludeSH, your car in your picture looks extremely clean, what did you use to clean up your windows, my windows are always dirty and gets dirty real quick. I have some scratches and some watermarks on both windows, is there anything that can do that and polish it? Also, how can I get white watermarks off my rear view mirrors? Thanks for the guys who answered my question. Really noob question, but if you don't ask, you won't know. I like to use Surf City's glass cleaner. Stoners Invisible Glass is a solid glass cleaner as well. Try some of your new adams polish on the windows. It should be powerful enough to tackle the waterspots and some of the scratches. Can I use these kind of polishes on windows? I thought the polish is only for the body? Like you said, if you don't ask you won't know. And we don't know what you don't know until you ask. You can. I polish my front and rear windshields regularly. Though this is simply because it is easier to get the glass looking really clean when you look at it, not through it.